The Chinese Lantern Festival is now open at Franklin Square now through June 11th. This one-of-a-kind experience includes collections of illuminated silk sculptures, acrobatics, dancers, and authentic crafts. During the Chinese Lantern Festival, the park will glow with 29 new handcrafted lanterns. One of the most popular lanterns from last year, the 200-foot-long Chinese Dragon, will even return for this year’s festival. 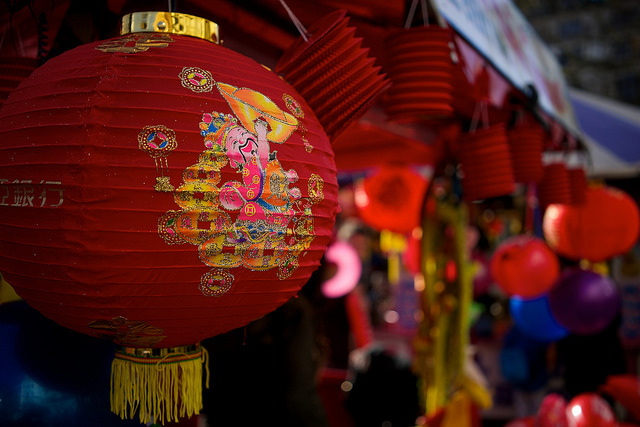 Other lantern designs to keep an eye out for include the entrance gate lanterns, sea creature lanterns, lions, pandas, and mythological creature lanterns. There are also food and drink options available during the festival, including the Dragon Beer Garden, SquareBurger, and Roe Thai and Japanese Contemporary Cuisine. Tickets are $17 for adults, $12 for children and $15 for seniors and Military. The festival is open Sunday to Thursday 6 p.m. to 10 p.m., and Friday and Saturday 6 p.m. to 11 p.m.